Although monkeys are apparently our ancestors (speaking in evolutionary terms), they often behave in ways that make us laugh. 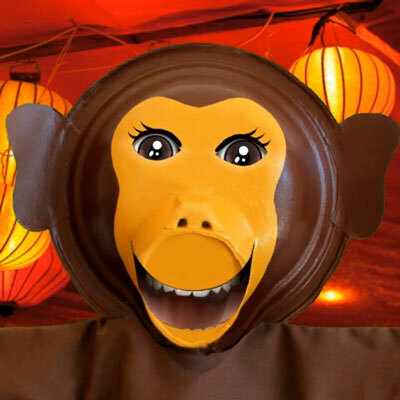 Have some fun making faces with the Animaplates monkey puppet in this video. Then, make the puppet and invent a silly story yourself! Maybe it’s not surprising that the Chinese Horoscope tells us that people born under the sign of the Monkey are fun to be with, curious by nature and intelligent. See the instructions for making this puppet.